Professional grade cryogenically tempered Japanese stainless steel withstands heavy use. Ergonomic, offset handles designed for all day use and superior control. Convex edges for precison cut. High rockwell hrdness value. Includesoil for maintenance. 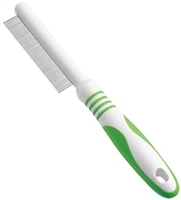 soft grip finger inserts, and convenient staorage package. 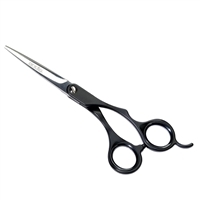 Andis® Offset Ball-Tip Curved Shears are ideal for cutting in sensitive areas. Andis® Thinning Shears give each distinctive style a more natural look and help blend out clipper lines. handles to withstand heavy use and superior control.